For a listing of articles and videos on Armenian wine and wine travel in Armenia, check out our page Uncorking the Caucasus. To purchase the Kindle or paperback copy of the book Uncorking the Caucasus: Wines from Turkey, Armenia, and Georgia, please head to this Amazon product page. Armenia falls within the geographical region that is associated with the birthplace of wine. It is the first country in the world to adopt Christianity as a state religion. As such, Armenians resonate strongly with the story of Noah landing his ark near the mountains of Ararat and planting vines in the vicinity. Armenians also believe that they are the immediate descendants of Noah, making them one of the oldest ethnicities in the world and the initial winemakers in history. Archaeology backs up this belief to some degree with the oldest large-scale winery, the Areni-1 cave complex, found near the town of Areni. In modern history, Armenia struggled through a long period of violent conflict with its two neighbors, Turkey and Azerbaijan, which caused a vast number of Armenians to emigrate. Today, Armenians are all over the world and have a reputation of achieving business success in many different industries and countries. Following Armenia’s independence in 1991, the Armenian diaspora started moving back to their homeland and brought along with them a new interest in wine. In 2010, led by young talents and prolific visionaries, the country’s wine scene started to take off at a rapid pace. Considerable investments were made to create a surge in wine culture and modern winemaking equipment was imported to bring the Armenia’s wine industry up to speed. While there were many international grapes grown, the reverent focus remained on rediscovering historic, indigenous varieties and realizing their potential. 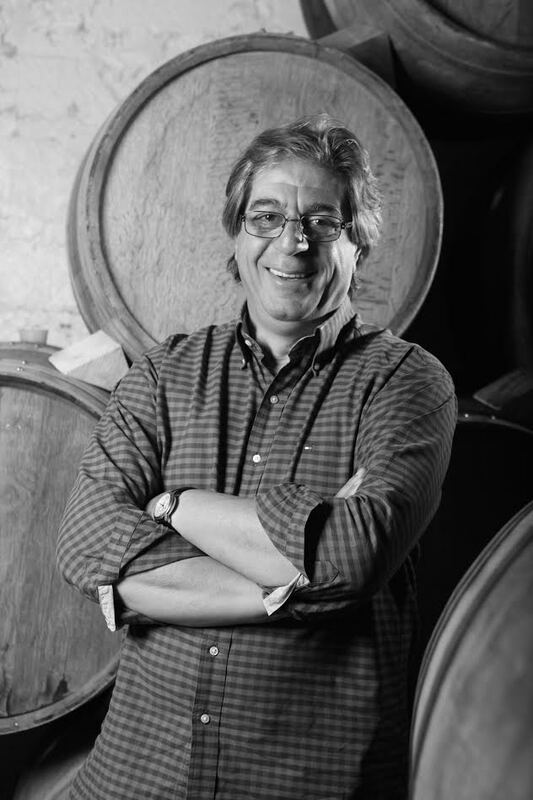 Mr Vahe Keushguerian, the founder of Semina Consulting and project manager at Karas Winery. Vahe is committed to reinvigorating the Armenia’s wine culture. By using DNA technologies to identify grapes found in abandoned monasteries and villages, then cultivating those grapes in his nursery, Vahe and his team have been recovering historic wine grapes and bringing them back to life. All in all, he is a giant among the movers and shakers of the burgeoning Armenia’s wine scene. From the age of 19, I moved from Lebanon to Italy, and then to California. In California, I was initially working at restaurants and eventually moved on to importing Italian wine. In 1994, I relocated to Italy and started making wine in Chianti and Puglia. After my first trip to Armenia in 1997, I decided to buy a plot of land and plant vineyards there. From then on, I started going back to Armenia every year. In 2009, my family took a gap year in Armenia. The timing was right and I got involved with Karas, and that cemented my place in the Armenia’s wine industry. Armenia is very exotic in the wine world. What types of indigenous grapes are available for winemakers? Armenia has an incredible number of white varieties. I don’t know if it was an effect or a cause of the terroir or brandy production*. A reason why so many varieties survived could be because they served their purpose, which was for the distillation of spirits. The leaders of the pack for white wines are Voskehat and Khatoun Kharji. We are also experimenting with Tchilar, which has characteristics of Sauvignon Blanc and Gruner Veltliner. Tchilar has some smokiness and grassiness, and we are happy with the early results we’ve gotten from this variety. There is a lot of potential and we can do a lot with white grapes. For now, Areni is the leader of the pack for red wine and is defining the Armenian wine industry. Most wines are made from unselected Areni; with clonal selection, we can breed the grape so it has a little more finesse and structure. Areni lacks color when it’s not too manipulated, but so do Pinot Noir, Sangiovese, and Nebbiolo. So that’s not a big deal. Khndoghni, also known as Sireni, is showing potential and lends itself good to aging in the barrel, perhaps more than Areni. Kakhet is another interesting red wine variety, but because of the small quantities harvested, we don’t have enough experience with it yet. The Soviet times have caused a big gap in the Armenia’s winemaking history. Can you share more about the history of modern Armenian wine, which is loosely defined as the post-Soviet period? There were some efforts to make good wine in the 1990s and early 2000s, but the technology and hygiene were not there. Perhaps there are examples of great wine made during Soviet times but none that I am aware of. Fast forward to 2009, four or five wineries came into the scene and turned the tide for the industry. One of them was Armenia Wine Company, which initiated modern packaging and modern technology for domestic wine. In 2010, Karas changed the game as it was the first modern, commercial winery in Armenia to make wine with grapes harvested from its own vineyards. Karas didn’t have to deal with vineyards that were haphazardly planted with all kinds of varieties, or badly maintained Soviet vineyards with dead vines scattered all over. Those were some of the problems that many pioneer modern wineries without their own vineyards had to deal with. A lot of winemakers in the Caucasus region choose to age their wine in Caucasian oak, could you tell us more about this oak? Caucasian oak is interesting. It is not identical to European oak; it’s a species of its own. The oak native to Armenia is a dry, slow-growing oak that comes from high-elevation areas. Similar to European oak, you need to split the oak across the grain, which means a lot of wood is wasted in the process. Our experience has been intense but variable because the oak is not treated the same and not aged for as long as French oak. What needs to be done in order to reinvigorate the Armenia’s wine industry? Domestically, we have to reacquire our wine culture. The culture was lost during Soviet times, but we can regain it back quite easily because we have an ancient culture in wine—wine is a part of our social stories and the country’s history. 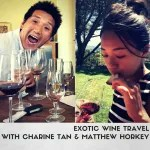 Currently, we are trying to revive the culture mostly through wine tastings in different cities. There are about nine wine bars in Yerevan that opened in the last two years. The good news is that most of the bars are often buzzing with customers, which means people are receptive to the movement and are welcoming the revival. The sad news is that wine is an expensive commodity in Armenia. All the good wines are not accessible to the general population. We are working on high-quality wine in pouches and bag-in-box for restaurants to serve by the carafe to their customers. The important thing is to produce Armenian table wine that is not just good, but very good, without the excess cost of corks and glass bottles. This will come in a matter of time. The next challenge, on an international level, is the narrative of the industry. We need a big group of producers to work in unity. A big, first step we’ve taken is by creating the group Vineyards of Armenia, a brand which I have started for the Armenian producers. We have 10 founding members and are open to welcoming more in the near future. The next step is to go out and share what we do with the rest of the world. It is vital to speak at trade shows as a unified group. Another challenge is marketing. We want to position Armenia as a country in the historic winemaking world, not new or old. Once we do that and continue to make quality wine, the market will take its course. We want to aim for the American and Northern European markets where there is a willingness to pay for exotic wines. I am a positive person and I see huge potential in the future of Armenian wine. We are blessed with good vineyards. But one thing we lack is institutional support. We don’t have the resources for research. Undisclosed blend of two indigenous grape varieties, Voskehat and Khatoun Kharji, and aged in bottle for a minimum of 15 months. 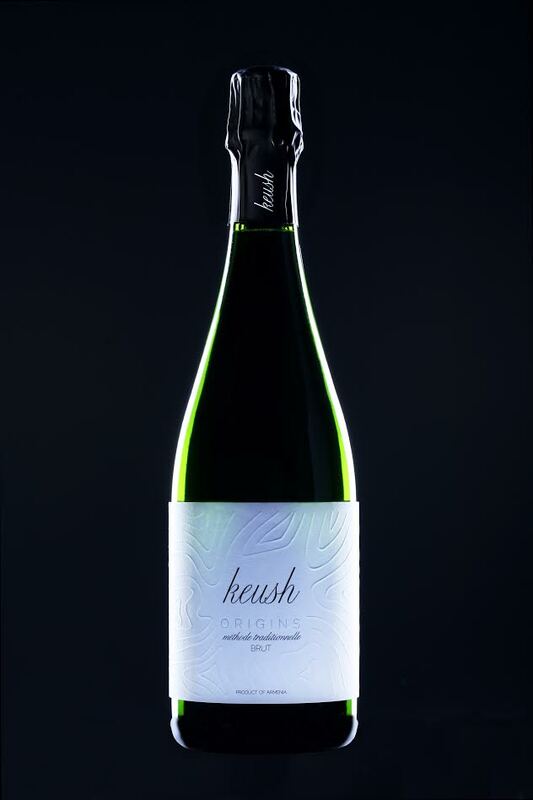 A crisp and refreshing sparkling wine bursting with citrus flavors. 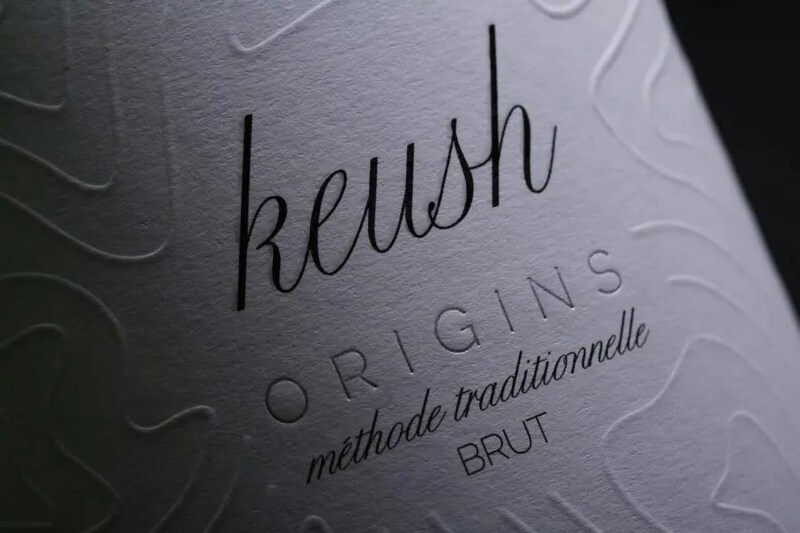 Keush is the brainchild of Vahe, who’s a lover of champagne (especially when it comes in a Magnum bottle). Trendsetter: Vahe Keushguerian from Armenia [in Russian].